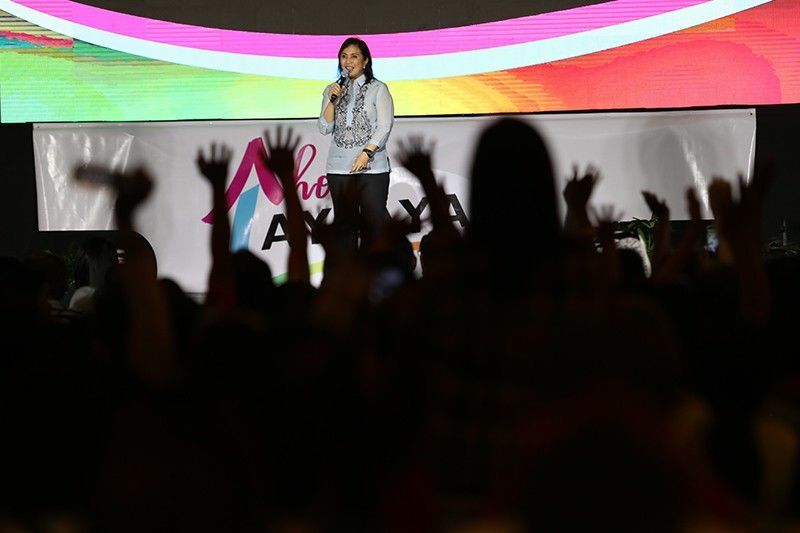 MANILA, Philippines — Vice President Leni Robredo called on the public to avoid making irresponsible comments and accusations that could endanger the health of ordinary Filipinos, especially children, amid the measles outbreak in Metro Manila and Central Luzon. “[S]ana naiiwasan iyong mga irresponsible na mga comments saka accusation, na nakaka-erode ng tiwala ng tao sa kung ano iyong dapat nilang gawin, lalo na pagdating sa health ng mga bata,” Robredo said Wednesday, speaking on the sidelines of an event of the “Otso Diretso” opposition slate at the University of the Philippines’ Bahay Alumni. On Wednesday, Health Secretary Francisco Duque III confirmed that there is a measles outbreak in Metro Manila following the rise in the number of cases. Data from the DOH showed that 169 cases have been recorded in the region, as opposed to the 26 cases reported in the same period last year. Central Visayas, meanwhile, recorded the highest increase in the number of measles cases with 2,550 percent. From January 1 to February 6 last year, only two cases were recorded but present cases have reached 53. Health Secretary Francisco Duque III blamed Public Attorney’s Office chief Persida Acosta’s investigations that children were allegedly killed by the controversial Dengvaxia vaccine. He said the “baseless” statements have eroded the agency’s reputation and affected trust in vaccines. “For me, let’s stop the finger-pointing and move forward to find a solution. Many were the cause of this [outbreak],” she said. “This isn’t the time to play the blame game,” Robredo said. She encouraged the public to allow the authorities to investigate who was the cause of the erosion of trust in vaccines. President Rodrigo Duterte himself urged the public last week to get vaccinated amid fears of an outbreak. “Do not be lulled and be complacent about it because a baby really needs it. If you do not want Dengvaxia, that’s OK,” he said. On Acosta's part, she believes she's not to blame for the measles outbreak. “On our part, helping educate people to not believe things damaging to vaccines that aren’t true,” she said, talking about how her office would help spread correct information in areas where the office’s Angat Buhay program is present.